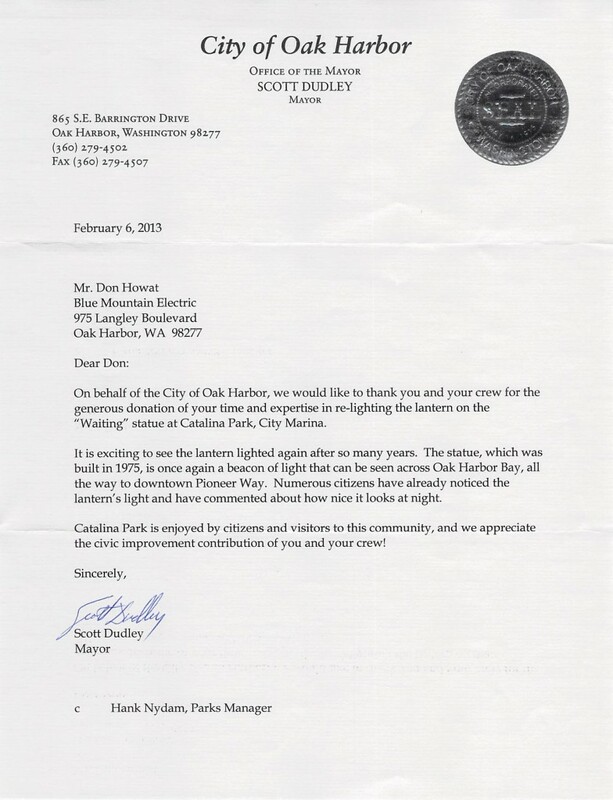 Community involvement is important to BME. The company encourages volunteerism and community support. Skilled labor is often donated to support community projects. As a Rotarian, BME president Don Howat has provided opportunities for BME employees and staff to become active in their community. Employees have donated their time to volunteer at the Challenge Series, a soap box derby fundraiser with special needs children. 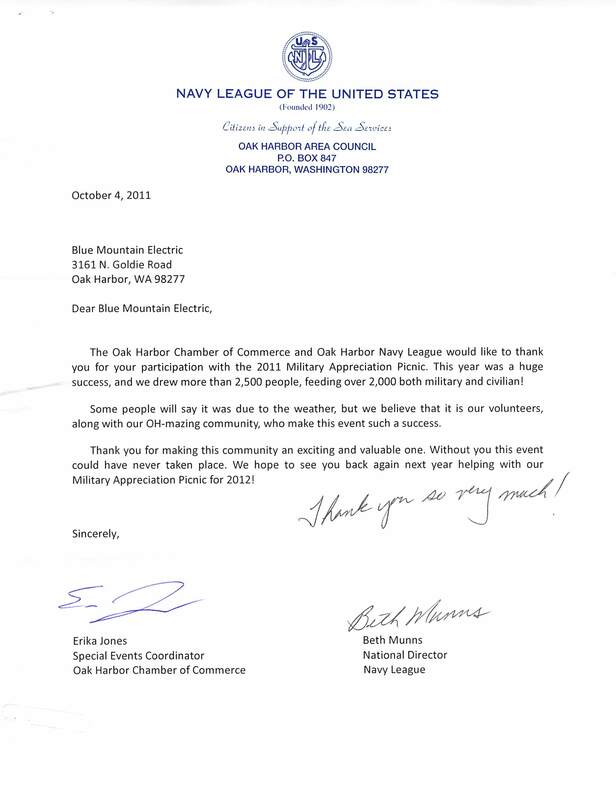 Supporting military organizations is also a strong commitment for BME. 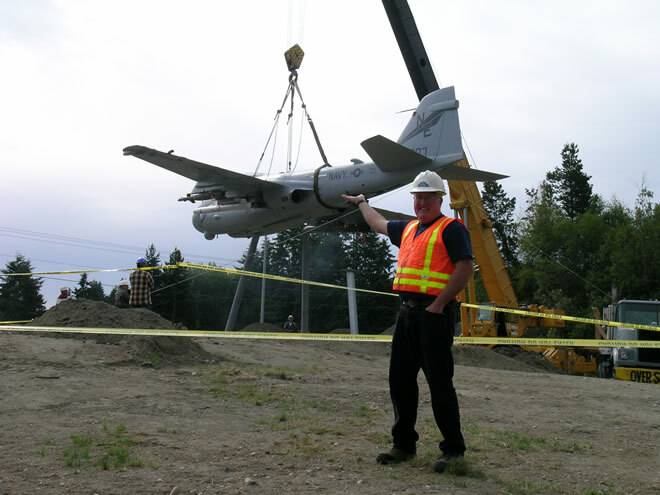 The company donated labor and materials to lighting military memorials and displays on Whidbey Island. 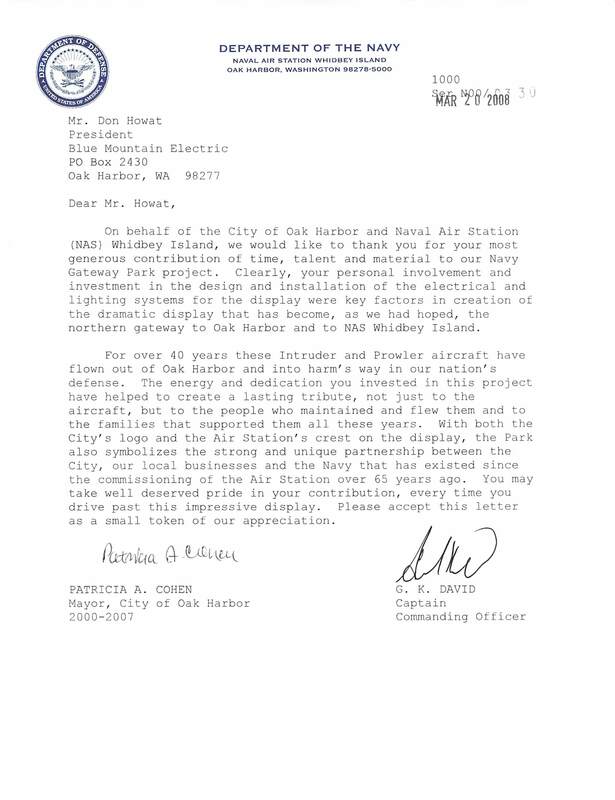 The dynamic lighting for the static Prowler display at the intersection of Ault Field and Hwy 20 was designed by BME president Don Howat. 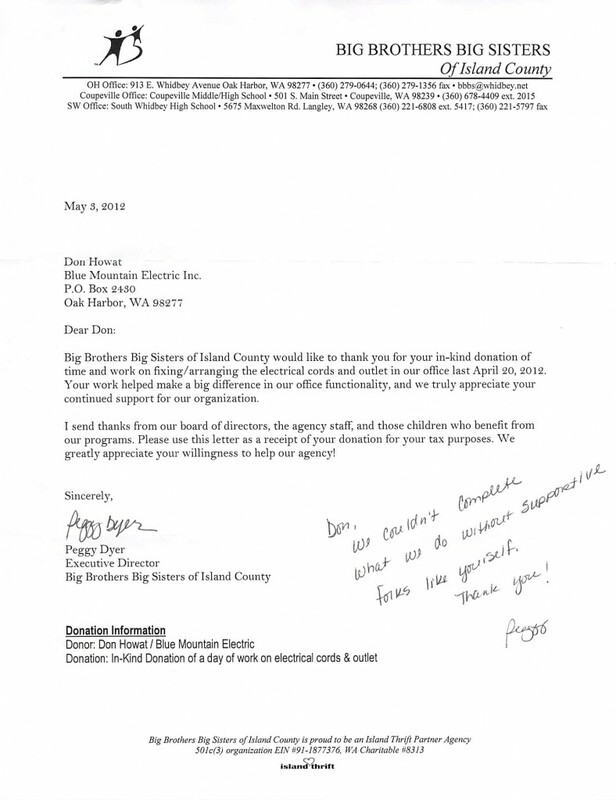 He and BME employees donated their time to the project. 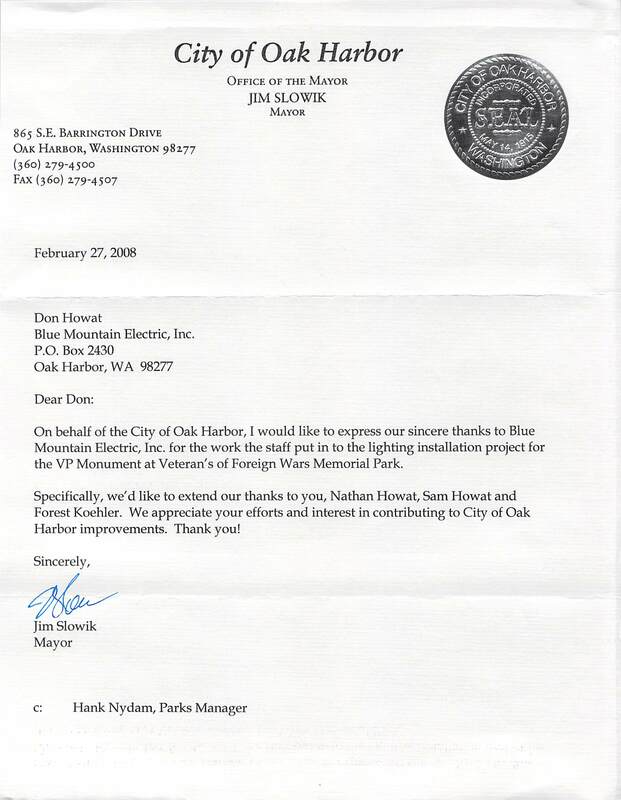 Lighting was also donated for the VFW Memorial Park in Oak Harbor, as well as several parks in Oak Harbor.